Weekly sales reports form the backbone of any successful sales strategy. They give managers a concise, actionable summary of their team’s activity highlighting weak points in the sales process, bottlenecks in the funnel and areas where they may require further, specific coaching. 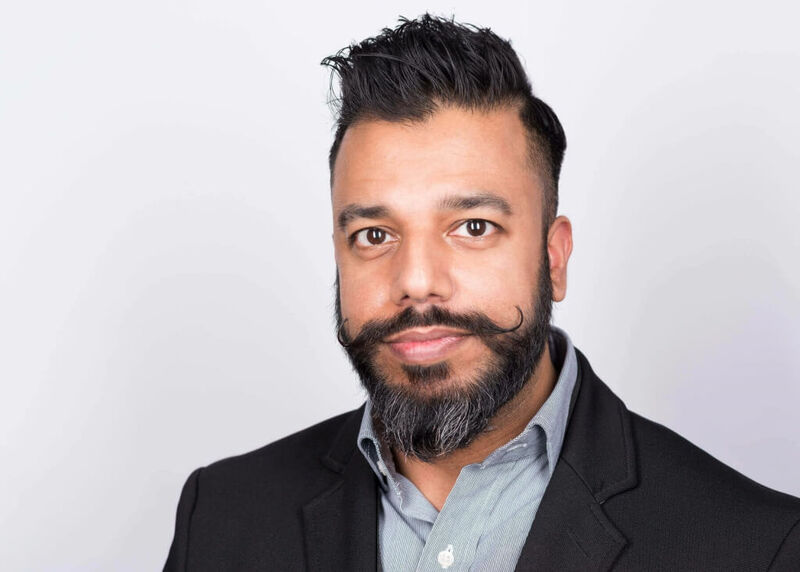 We sat down with UK sales expert Nadim Nawaz to get his take on sales manager reports; why they’re important, how he uses them and the mobile tools to get them done. Nawaz is the founder and CEO at Callerz; one of the UK’s leading outbound sales consultancies. He has over 15 year’s experience managing sales teams with a particular focus on SaaS security. So, without further ado, let’s hear from the man himself. Nadim, can you tell us a bit about yourself, your background and how you started your career in sales? Of course! While studying at university I had a couple of term and weekend jobs at Fujitsu and Vodafone, selling mobile contracts. Nothing fancy, but in all honesty that’s where the sales bug really caught hold. So after graduating from university I went straight into computer component sales at Mitek. From there I moved into IT security SaaS into a more business development role (BDM); charged with setting up UK operations and implementing a management sales cycle from start to finish. However, during the recent economic downturn I got made redundant. It had a profound effect on me personally and marked a real turning point in my career. Not wanting to go through that whole ordeal again, I decided to set up my own business. So Callerz was born on the back of that really; an idea aimed at helping other people that were also homebound. Callerz now employs over 50 staff all of who are homebound, either through disability, single parenting or personal career choice. We handle a variety of call-based sales services from service follow-ups, outbound lead generation to surveys and market research. We have big plans on becoming the largest contact center in the UK that employs people with disabilities. How important is sales reporting at Callerz? Personally, the importance of sales reporting cannot be overstated. It helps sales directors understand the direction their team’s heading in. You see, one of our most important roles is to plan and develop a strategy for the upcoming month, quarter or year. If we don’t have visibility of what our team is doing, how can we adjudge if our plan is working or not? We need to be able to change and shift things according to the feedback we receive from the field. If there’s no data, then it makes this task nigh on impossible. An old sales director of mine once put it to me like this: sales without accurate reporting is like driving a car without a GPS or speed dial. There’s no way of knowing which direction you’re going or at which speed. Reporting also plays a massive role in budgeting and adjusting the sales forecasting process. If you have real-time, live data coming back in from the field you have a pretty good idea of how much revenue your expected to make, the number of reps needed per account, when are the slowest and busiest times for calling etc. Every step in business is a risk, but in my opinion it’s better to reduce uneducated risks and have your decisions backed by data. How are you using sales reports to better team performance at Callerz? Aside from the tweaks and adjustments I’m able to make to my sales strategy, I think the biggest area that reporting helps us with team performance is in sales training and coaching. For example, I recently pulled of a report from one of my team and saw they were making between 80-90 calls a week. However, my best performing rep was making around 30 calls a week, but his conversion rate was much, much higher. Something clearly didn’t add up. Why was this? Despite making nearly 3x as many calls, why did the conversion rates not match up to the number of calls being made? So based on the data from the weekly sales report, I decided to investigate a little further. After sitting down with this particular rep on a couple of calls I noticed she was coming across as overly shy. See picked up the phone, got stuck with the gatekeeper and didn’t quite have the confidence or presence to progress any further. Thanks to the report I was able to spot this problem immediately and come up with a few sales training topics I thought would help her when dealing with gatekeepers. Without this insight, I wouldn’t have been able to uncover the initial problem and take the necessary action to remedy it. Reports also point out certain patterns you can then use for risk aversion. You might see that a team member’s call volume is up, but the average duration has shortened. Why is this? Are they asking the right questions? Is it because the industry they are targeting is seasonal? Is it a holiday period? Perhaps there’s something else going on in their lives? Whatever the issue you want to be there for your team, to open and maintain an open dialogue so they can approach you about anything, work related or not. That’s the level of trust I try to install at Callerz. For me it’s important to invest the individual, help train them to become better at their given role, to give them the support they need – not to let them go after failing to clear the first hurdle. I think that’s why we have such high employee retention rates (the majority of our sales team have been here since day one.) The sales reports ensure our team leaders have regular contact with their teams and openly discuss any and all issues that arise. It’s not micromanagement, but about being approachable and transparent. How do your sales team at Callerz use ForceManager on a day to day basis? The guys that really benefit form it the most are the field-based team we have for account management and new business. From a sales reporting perspective this is where ForceManager is particularly strong. The data is uploaded directly into the mobile sales app and because it’s all geolocated, the system automatically churns out a report with the sales activity displayed on a visual map. As a result, I can see where my team are having more success or more conversions geographically. For example, there are certain areas in London with a higher density of housing associations (one of our target industries), so from my reports I can strategically determine that this is a sector my field sales team should pay particular care to. I therefore redistributed my field teams according to the real-time, live data to better account for what was actually happening out in the field. Again, all this information is only obtainable from concise, accurate sale reporting – without it, sales managers are left taking uneducated risks with the future of their business. How do accurate, concise sales reports direct to your inbox sound?